So, you want to be a zombie for Halloween, a zombie party, a zombie walk, or just because you're kinda weird (we don't judge). The next question is, what's the best zombie costume to get? Of course, it all depends on what kind of zombie you want to be, what you'll be doing in the costume, your gender (duh), and how much money you want to spend. 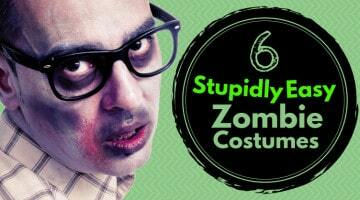 Who knew being a zombie could be so complicated? The following articles highlight some of the top zombie products on the market - from complete costumes to accessories like prosthetic wounds and fake blood.